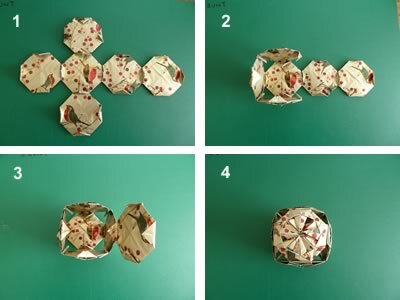 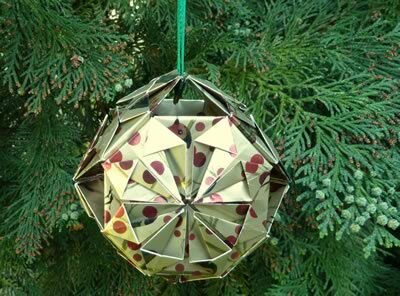 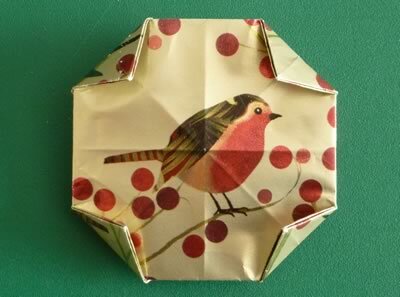 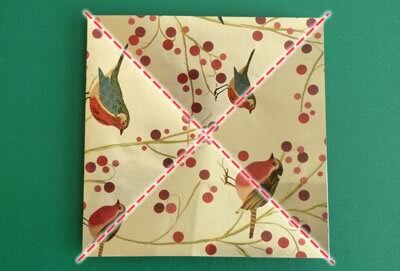 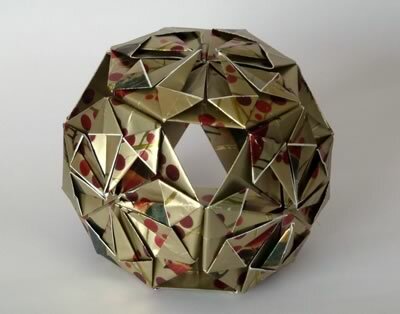 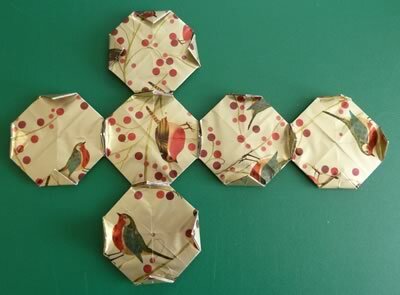 Looking for origami Christmas ornaments? 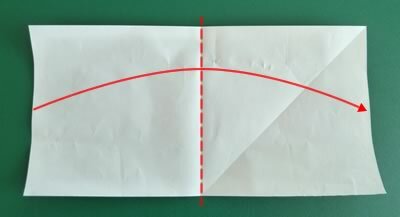 You've come to the right page! 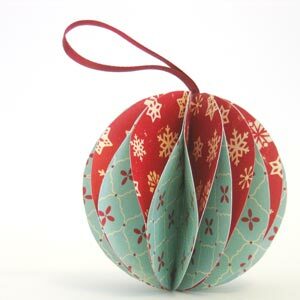 These paper Christmas ornaments are easy to make and look gorgeous hung on the Christmas tree. 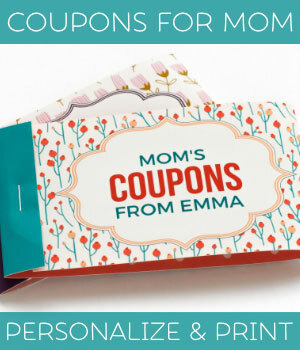 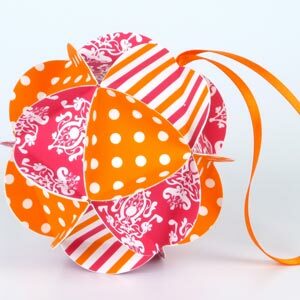 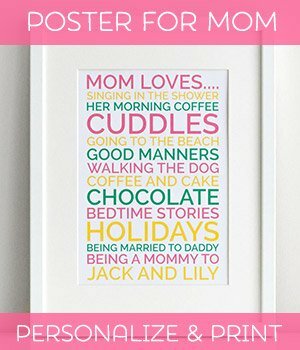 They make nice gifts, and making them is a fun craft activity to do with the kids. 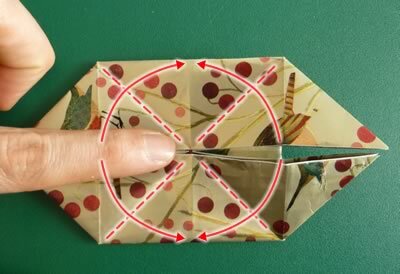 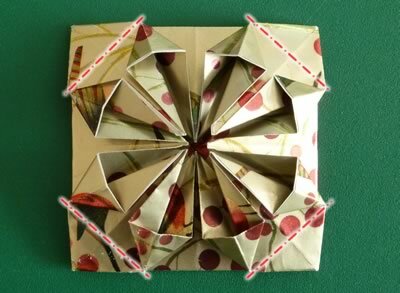 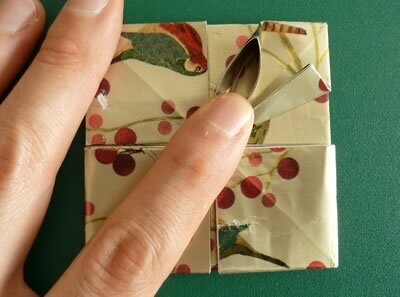 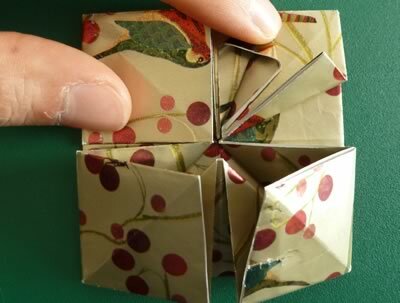 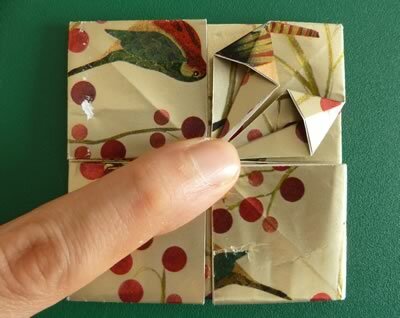 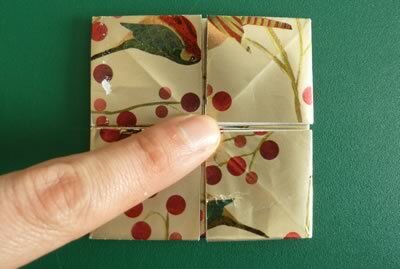 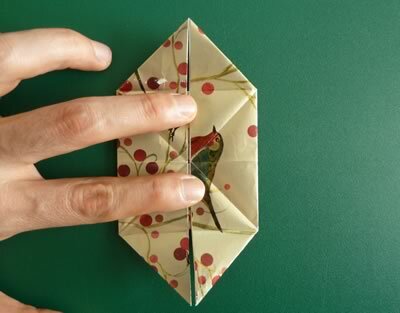 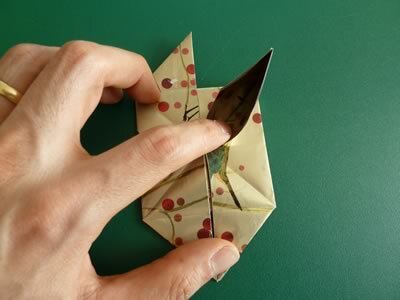 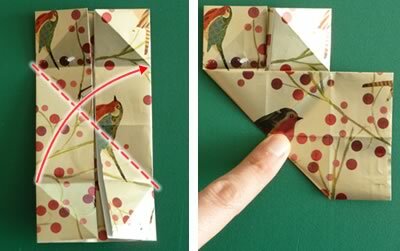 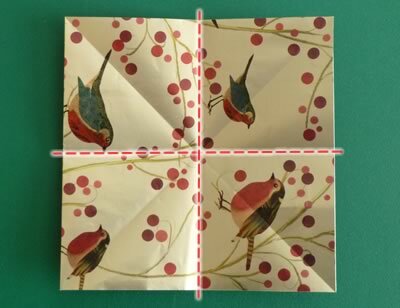 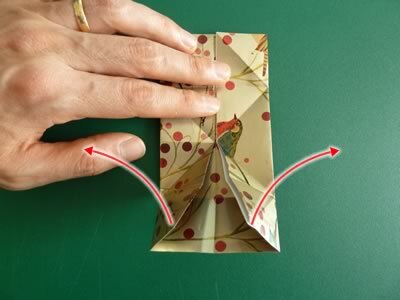 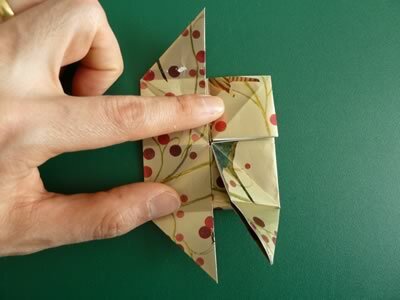 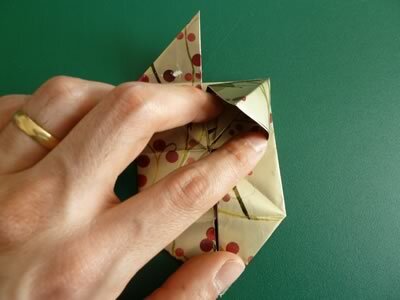 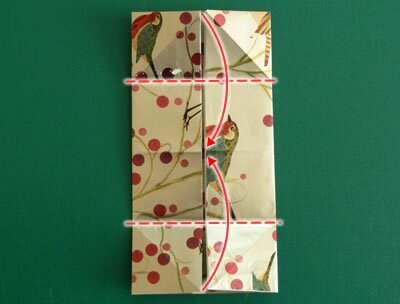 Fold the left and right sides in to meet the center. 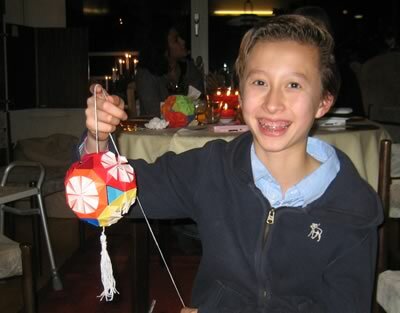 You might have noticed that the origami Christmas ornament my cousin is holding (below) has a white center on each face. 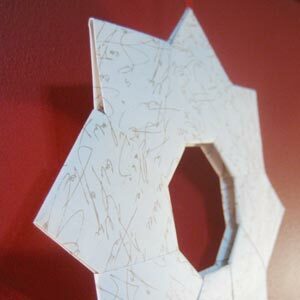 It's a different look, and I quite like it. 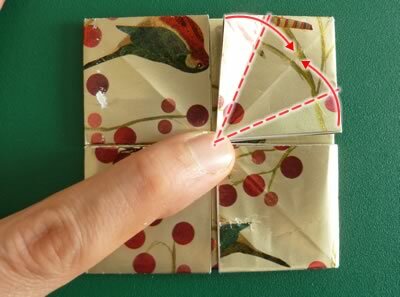 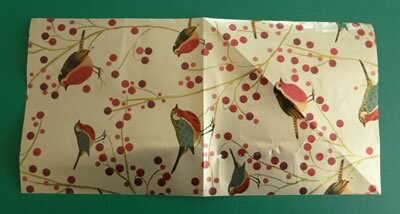 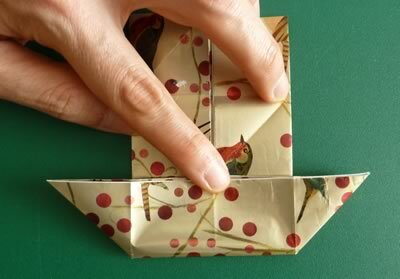 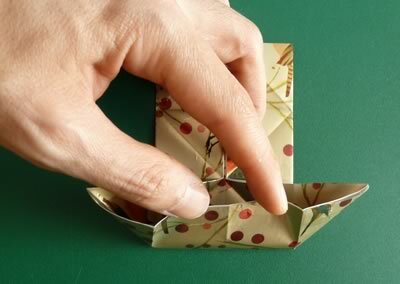 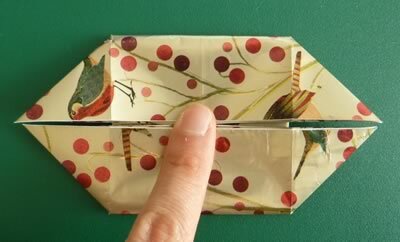 If you want to make one like this, use square sheets of paper instead of rectangles. 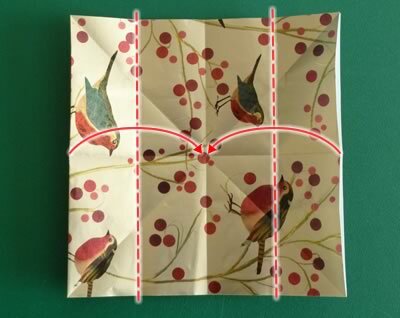 Each sheet should be 6" by 6", and should have one colored side and one white side. 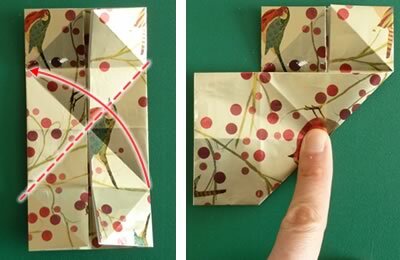 Put the paper white-side-up, and then start from step 2 of the instructions above.